Today, Agriculture especially in India need to concentrate in some aspects such as how to increase the productivity and profit, how to reduce the cost and how to solve the problem comes from workers. Agriculture is the art and science of crop and livestock production. In its broadest sense, agriculture comprises the entire range of technologies associated with the production of useful products from plants and animals. With the objective of designing a tool which has to be used for the operation of grafting, layering and cutting for the nursery operation, with the least force of application, least damage to the crop tissue, for the sage propagation and lease exertion while operation. – The two Goan students have invented a unique device - 'Goycho cutter'. Engineered by Arvind Gauns and Rakshanda Faldessai, the device is used for air layering - a form of layering in which the crop's stem is given a small cut and then wrapped with a moist covering to promote root growth. “Traditionally, air layering is done using blades, which requires good skill to make sure that the cambium below the stem is not damaged. 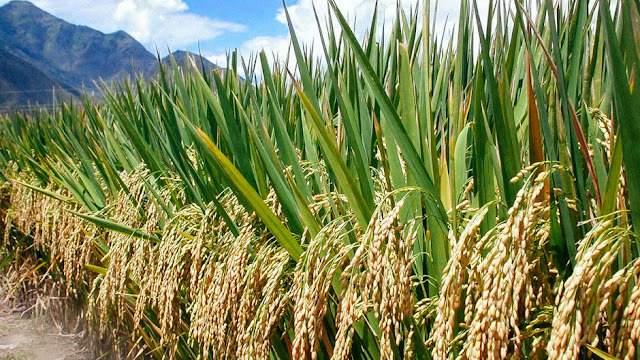 If the crop's tissue is damaged, then it cannot be used for propagation," said Gauns. While a skilled labourer can cut approximately three stems in a minute's time, the 'Goycho cutter' in the hands of an amateur can cut approximately six stems per minute, thus doing a more efficient job in a given time. Speaking about its functioning, Gauns explained that a slot has been provided in the center of a distinct diameter with an inclined vertical blade of three centimeters. The stem, which needs to be layered, is locked in the slot provided. Due to the inclined blade, the stem is pierced, following which the machine is rotated to peel of the bark for air layering. Faldesai said, "The 'Goycho cutter', which literally means Goan cutter, is user friendly, reduces labour, improves precision, saves time and is much better than an average budding and grafting knife." While Gauns is studying agricultural engineering at Dr Balasaheb Sawant Kokan Krishi Vidyapeeth, Dapoli, Ratnagiri; Faldessai is a student of horticulture at the same institute. The invention was a result of their passion for building tools for the betterment of Indian agriculture.